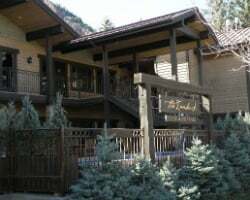 Located within walking distance of downtown Aspen, *Bluegreen Resorts - The Innsbruck Aspen* will provide a level of hospitality that one would expect from a world-class vacation destination. 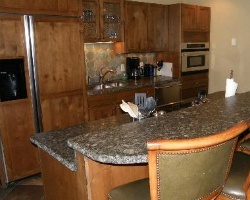 Vacation suites welcome guests with slate entryways, granite countertops, stainless steel appliances, gourmet kitchens and Alderwood cabinetry. Gas fireplaces, 42-inch high-definition flat screen TVs and jetted tubs add the final touches of comfort to the cozy suites. Guests can relax in the year-round swimming pool and hot tub after enjoying a full day experiencing the area attractions. For more information, please see www.bluegreenvacations.com. Motivated seller! Points can be used in the Bluegreen network! Buyer may receive a title fee credit, inquire for details! Ideal resort that includes 10,000 banked points! Buyer May Receive A Title Fee Credit, Inquire For Details! 10,000 pts from 2015 still avail. 10,000 banked points included w the sale. Choose you location & dates for an unforgettable experience! Sale includes 16,000 annual points! Buyer May Receive A Title Fee Credit, Inquire For Details! Visit this stunning Aspen resort or anywhere in the network with 6,000 points! Buyer may receive a title fee credit, inquire for details! Sale includes 3,000 annual points! Buyer may receive a title fee credit, inquire for details! 7,600 banked points available for immediate use! Enjoy 10,000 points every even year! Buyer may receive a title fee credit, inquire for details! Sale includes 7,000 annual pts! Enjoy Colorado or any resort within the bluegreen network! Buyer May Receive A Title Fee Credit, Inquire For Details! Stay at this outdoor lover's retreat or explore any location in the Bluegreen network! Buyer May Receive A Title Fee Credit, Inquire for Details! Enjoy 4 weeks every year! 3 prime season weeks and 1 shoulder season week! Buyer may receive a title fee credit, inquire for details!